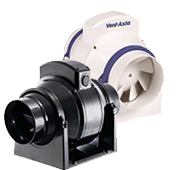 The Centrif Duo range is a series of 100mm centrifugal extract fans for the domestic environment. 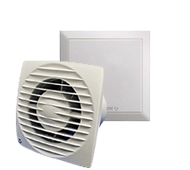 The range is designed to provide extraction levels that comply with Building Regulation (Document F) requirements, with special humidity sensing variants for local authority use. 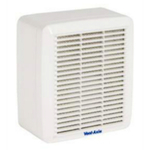 The Centrif Duo is for kitchens and utility rooms and large bathrooms. 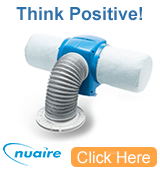 Surface mounting directly into standard 100mm diameter ducting, through the wall or ceiling installation. Duo Range can be wall mounted using a telescopic wall fitting kit available as an accessory (requires a 115mm diameter hole). 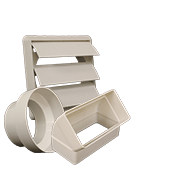 For ceiling applications the range is ducted either through a soffit outlet or roof cowl assembly. There is convenient access for wiring which can be surface or recessed. 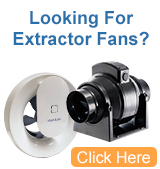 The motor features greased-for-life ball bearings which allow the fan to be installed at any angle. 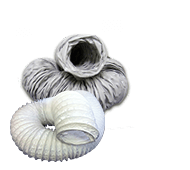 Insulation is Class E. Double insulated appliance. Supply voltage 220- 240V/1/50Hz. ● 100mm circular spigot for speedy installation. ● Humidity sensing model for automatic operation. 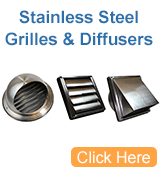 ● Reduced stocklines - fans now suitable for both kitchen and utility rooms. ● Removable grille assembly for easy cleaning. ● Speed set at installation. 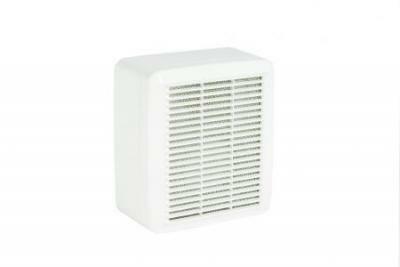 ● Complies with Building Regulation (Document F) requirements for extraction levels in kitchens, utility rooms and bathrooms. ● Timer model for internal rooms.